Since their arrival into the National Football League in 1967, the New Orleans Saints had earned the reputation as the most notorious loser in the league. 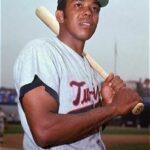 In their first 20 seasons, the Saints had never had a winning season or been to the postseason with their best seasons being in 1979 and 1983 where the team finished 8-8 in both seasons. In 1986, Saints owner Tom Benson hired Jim Finks to become the team’s new general manager, who then proceeded to hire Jim Mora as head coach. Mora came from the USFL’s Philadelphia Stars where he coached the team to two championships in the league’s three-year history. 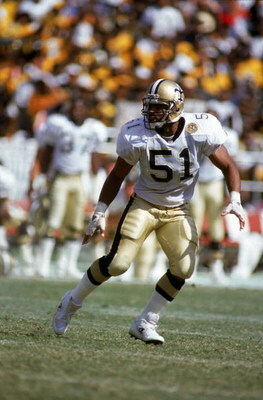 As the league folded in 1986, Mora was able to convince former USFL players such as quarterback Bobby Herbert and linebackers Sam Mills and Vaughn Johnson to join him in New Orleans. Mills and Johnson joined veteran linebacker Rickey Jackson and rookie Pat Swilling to form the famous “Dome Patrol”. The Saints went 7-9 in 1986, and then split the first two games of the 1987 season before the NFL players went on strike. Week 3 games were cancelled and never made up, but games in weeks 4-6 were played by replacement players. The Saints’ replacements went 2-1, giving the team an overall record of 3-2 when the regular players came back for their week 7 showdown against the San Francisco 49ers. The Saints lost the game 24-22 as Morten Andersen missed a last-second field goal that would have won the game. In his postgame press conference, Mora proclaimed that the Saints “ain’t good enough” to beat a team like the 49ers. The speech seemed to light a fire under the Saints as they won their next four games, including a 26-24 win over the 49ers in San Francisco. The Saints were 7-3 and had five games to go in the regular season to give their long-suffering fans a winning season. For week 12, the Saints traveled to Pittsburgh to face the Steelers, who were 6-4 entering this game despite the fact they had the lowest-rated quarterback in the league, Mark Malone. 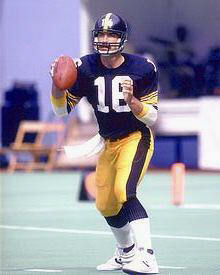 Mark Malone tossed three interceptions in the loss. 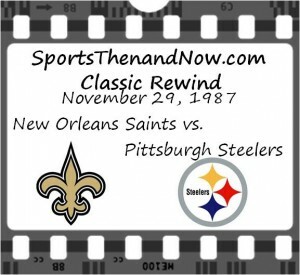 The Saints got the first points of the game when defensive back Johnnie Poe blocked a punt, the sixth blocked kick by New Orleans during the season, which set up a 25-yard field goal by Morten Andersen to put the Saints ahead 3-0 with 2:42 left in the opening quarter. In the second quarter, the Steelers defense made two huge plays that swung the momentum toward Pittsburgh’s side. First, cornerback Dwayne Woodruff picked off a Herbert pass and returned it 33 yards for a touchdown to put the Steelers ahead 7-3 midway through the second quarter. Then, linebacker Mike Merriweather stopped a Saints defense by forcing and a recovering fumble from running back Reuben Mayes which lead to a 5-yard touchdown by Walter Abercrombie with 46 seconds left before halftime, to increase the Steelers’ lead to 14-3. New Orleans controlled most of the first half but thanks to the two big plays by the Steelers defense and a pair of missed field goals by Andersen, they trailed 14-3 at halftime. The Saints got the ball first in the second half and put together their best drive of the game; a 13-play, 86-yard drive that culminated with a 5-yard touchdown run by Mayes that trimmed the Steelers’ lead to 14-10 midway through the third quarter. 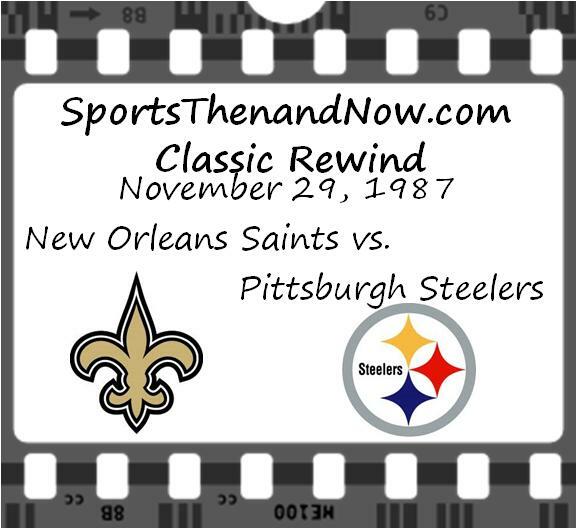 The score remained 14-10 until the fourth quarter when Saints backup linebacker Jon Kohlbrand drilled Steelers rookie Rod Woodson on a punt return, forcing a fumble that was recovered by the Saints. Two plays later, Hebert found Eric Martin for a 19-yard touchdown, to give the Saints a 17-14 lead with 8:16 left in the fourth quarter. On the ensuing Steelers drive, Malone was intercepted by Milton Mack, which lead to a 32-yard field goal by Andersen to increase the Saints’ lead to 20-14. After the field goal, the Steelers got the ball at their own 35-yard-line, needing a touchdown to pull out the win. Malone took advantage of the Saints’ prevent defense and drove the Steelers down the four-yard-line with a first-and-goal. Two runs and an incomplete pass lead to a fourth-and-goal from the 2-yard-line. On fourth down, Malone handed the ball off to Frank Pollard who proceeded to run a sweep on the left side. A fourth down tackle stopped one of two fourth quarter drives for the Steelers. But Pollard was met by Mills, who stopped him short of the goal line and giving the ball back to the Saints with over two minutes to play and needing a first down to put the ball away. However, the Saints could not get a first down and were forced to give the ball back to the Steelers. Instead of punting the ball on fourth down, Mora called for punter Bobby Hansen to run out of the end zone for a safety rather than risking the opportunity for the Steelers to block the punt. The Saints kicked it back to the Steelers who got the ball at their own 44-yard-line with 53 seconds and trailing 20-16. Once again, Malone and the Steelers took advantage of the Saints’ prevent defense to drive down the three-yard-line with a first-and-goal. But the Saints defense rose up again as Kohlbrand sacked Malone for an eight-yard-loss, back to the 11-yard-line where the Steelers called their last timeout. There was enough time for one last play and one more bullet for the Saints to dodge in order clinch their first winning season. On the final play, Malone dropped back and threw towards the end zone in the direction of Calvin Sweeney. But Sweeney slipped and cornerback Dave Waymer intercepted the pass to end the game and preserve the Saints’ 20-16 victory, their eighth win of the year and assuring them the first winning season in franchise history. When the Saints came home to the New Orleans airport, they were greeted by nearly 3,000 fans in celebration of the team’s historic accomplishment. The Saints would go on to win the remaining four games of the regular season to finish with a 12-3 record and clinching the team’s first ever playoff berth. However, the Saints would be crushed 44-10 by the Minnesota Vikings in their NFC Wild Card Game. 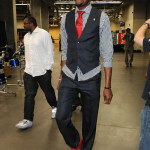 ← NBA Eastern Conference Preview: Can the Heat Buy a Championship?